SKU: N/A. Category: Café and Rope Barrier Systems. 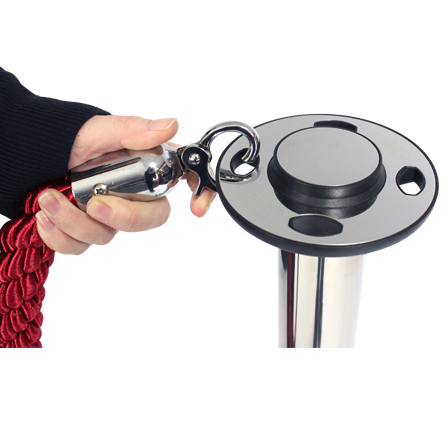 Rope barriers create an easy way to define an area or manage a queue. With a quick release clip they can be rapidly reconfigured according your immediate needs. A range of attractive colour options are available in either a padded velvet rope or a twisted silk-look rope. Rope barriers can be used indoors or outdoors but please note that prolonged outdoor use will reduce the lifespan of the rope.